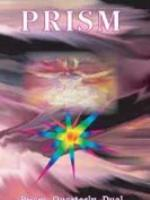 Prism Quarterly is a 6x9 perfect-bound journal of poetry, fiction, and non-fiction that has been published on a quarterly basis since 1996. Recently acquired by Pitch-Black LLC and now published under the auspices of Daybreak Press, the journal is proud to open its content to speculative poetry and fiction submissions. Prospective contributors are urged to subscribe or order sample copies of the journal (back issues are available in limited quantities at a discount).